Now in its third generation, Bridgestoneâ€™s e-series is the companyâ€™s mid-range line of balls, marketed to players seeking to optimize trajectory and correct specific ball flight faults. The e5 line is designed to promote a higher trajectory and additional spin control, while the e7 line is designed to promote a lower and more penetrating trajectory for windy conditions or for players who struggle with overly high ball flight. The e6, reviewed here, is designed to reduce sidespin, which helps promote a straighter ball flight. Although Bridgestone dropped the â€œ+â€ designation from the 2010 line, the latest incarnation of the e-series of balls is not a step down from the 2009 e6+ model. 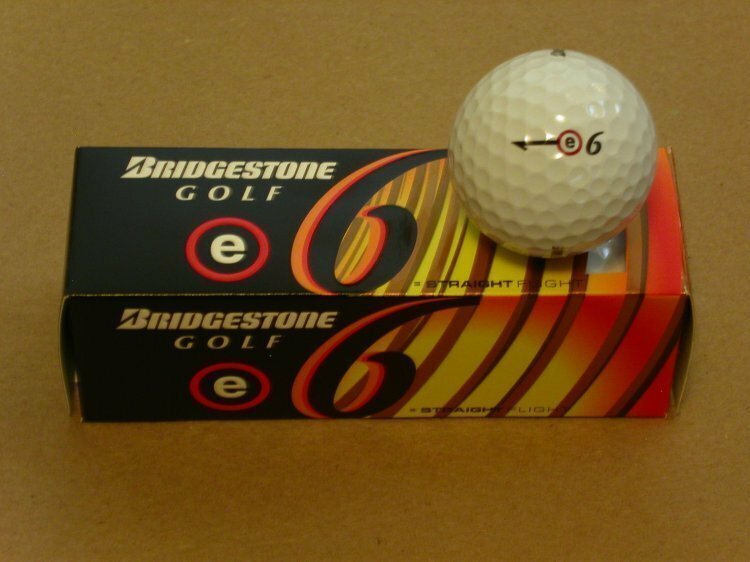 To the contrary, Bridgestone claims all three 2010 â€œeâ€ balls have been improved over the 2009 models. The 2010 e6 is a three-piece ball with a Surlyn cover and a seamless 330 dimple design. The cover encloses a middle â€œmantleâ€ with Bridgestoneâ€™s updated â€œanti-sidespin inner layer.â€ Beneath the mantle is a â€œsoft gradational compression core,â€ which is presumably Bridgestoneâ€™s way of saying that the more the core is compressed, the firmer it becomes. Appearance: The 2010 e6, like its predecessor, has a bright white cover that gives the ball a clean appearance. The graphics are typical of most modern balls with the manufacturerâ€™s logo and a ball number on the front and back, and a small combination e-series logo/alignment aid on one side of the ball. Feel: With a putter, the e6 feels solid off the face with a medium-deep sound and none of the â€œclickinessâ€ found in some balls. The â€œweightâ€ of the e6 feels about average, with a slightly lighter feel than the Titleist NXT Tour, and slightly heavier feel than the Nike Power Distance Soft and Top-Flight D2 Feel. With lofted clubs (woods, hybrids, irons, and wedges), the e6 lives up to its hype as a soft ball with anti-spin attributes. What makes the softness of the e6 significant is that most â€œstraight flightâ€ balls suffer from hardness and lack of feel. But the e6 feels only slightly firmer on full shots than the Nike Power Distance Soft or the Titleist NXT Tour, neither of which is designed to reduce sidespin. The new e6 also feels slightly softer than the 2009 e6+. Performance: It would be naÃ¯ve to believe that a ball – any ball – could compensate for serious swing flaws. The best a player can hope for is that ball technology can mitigate the effects of a mis-hit so that the shot ends up in a better position than it would have without the technology. But no ball can turn a 50 yard slice into a fairway shot. So the key in choosing a ball is matching the ball flight problem to the correct ball technology. Bridgestoneâ€™s e-series makes that easy with clearly described balls for specific problems. And if a player is struggling to determine what his or her problem is, Bridgestone offers â€œBall Fittingsâ€ around the country to help players pick the ball that is best for their game. So does the e6 actually help reduce sidespin? In a word, yes. On-course testing showed that the e6 tended to travel straighter and slightly longer when hit side-by-side with balls not designed to reduce sidespin. Sometimes the distance and trajectory was nominal, other times it amounted to as much as five or ten yards. 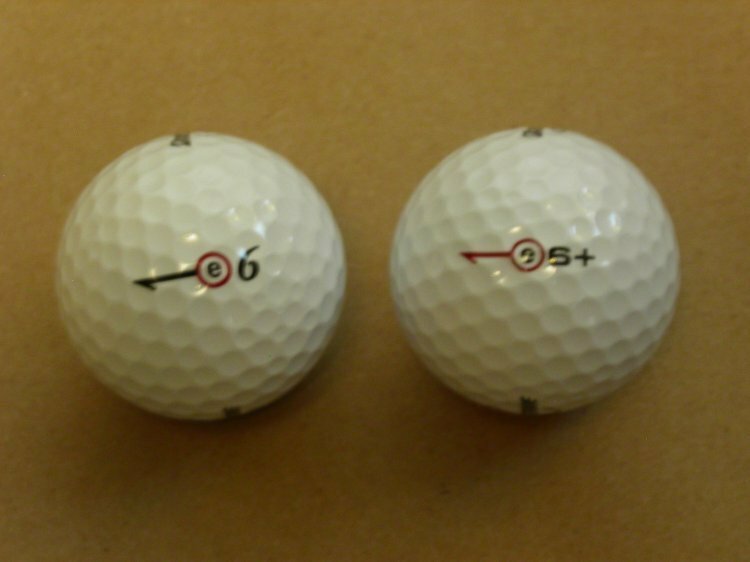 And while the testing was subject to human swing variances, the consistency with which the various balls traveled (relative to each other) was sufficient to demonstrate that Bridgestoneâ€™s claims about the e6 are valid. The downside of any ball designed to promote a straighter ball flight is, of course, the loss of spin at times when spin is desired. Around the greens, the e6 does not check up or spin back like a ball designed for high spin. That does not mean the e6 is completely devoid of spin. It is still possible to stop the ball on the green from a chip shot â€“ just not to the same degree as with a high spin ball. As a result, using the e6 around the green requires some adjustment. However, for a player fighting to keep tee shots and approach shots on line, the lack of spin around the green is a small price to pay for full shots that often stay several yards straighter. Durability: The e6 balls displayed acceptable durability during testing. No severe cutting or shredding was present after a typical round. Scraping and wedge damage was normal and did not affect playabilty of the ball. Oddly, however, the cover of the e6 does not seem to retain Sharpie markings well. By the end of a round, the ball needed to be remarked because only shadows of the original Sharpie ink remained. A potential benefit, perhaps, for players who like to occasionally alter their markings. 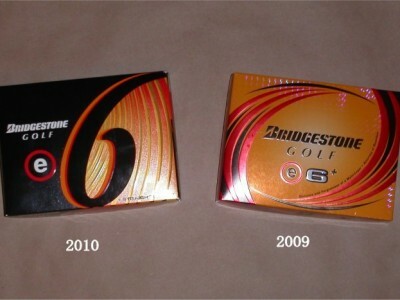 The 2010 Bridgestone e6 is a â€œmust tryâ€ for any player struggling to reduce the effect of sidespin on his or her shots. While there are several balls designed to promote a straighter ball flight, none have the feel of the e6. WHO (is it for? ): Players who struggle with sidespin that causes shots to hook left or slice right. WHAT (is its construction? ): The e6 is a 3-piece ball: Surlyn cover, anti-spin inner layer, soft gradational compression core. WHERE (can you buy it? ): Almost any golf or sporting goods store. WHEN (will it be available? ): The 2010 e6 ball, along with its e5 and e7 siblings, is making its way into stores right now. WHY (would you want to use it? ): The Bridgestone e6 can help keep your shots in the fairway or on the green. Straight is good. HOW (does it work? ): According to Bridgestone, the e6 has an improved â€œanti-spinâ€ inner layer that reduces the sidespin that causes a ball to hook or slice. Standard one dozen ball package with four 3-ball sleeves. Great review Harry. I was fitted for the B330 RX ball, but always seem to come back to the e6. I just simply love it off the tee. Excellent review Harry! Anything that gets a Longshank Birdie is a must have! As always, well researched, thoroughly documented, and VERY entertaining. Well done Harry. Very well presented, I too liked “The Longshanks Rating”. Great job! Good review Harry. Thanks a ton. Nice review Harry. 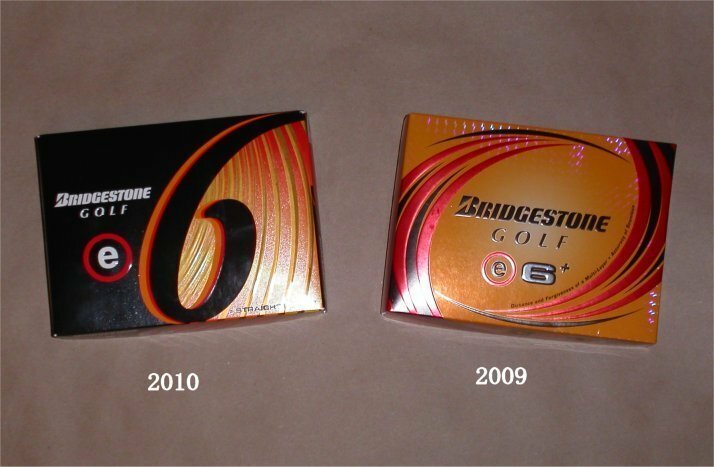 Glad to see that Bridgestone kept what made the e6+ a great ball and improved on its feel. I’ll be playing the e6 line for a while now. I switched from Callaway Big Berthas and haven’t looked back. Thanks. I just played with these balls for three days- It’s a great ball for the price. It doesn’t spin as much on the greens and yes, my slice is somewhat of a fade right now unless I push my ball…. I will have to try a sleeve. May not be for me though. I need the short game touch and spin as much as the straighter ball flight. But you never know until you try it. Sounds like the ball for me. Thanks. Great review. I am going to test these out this weekend. Looking forward to seeing the results.